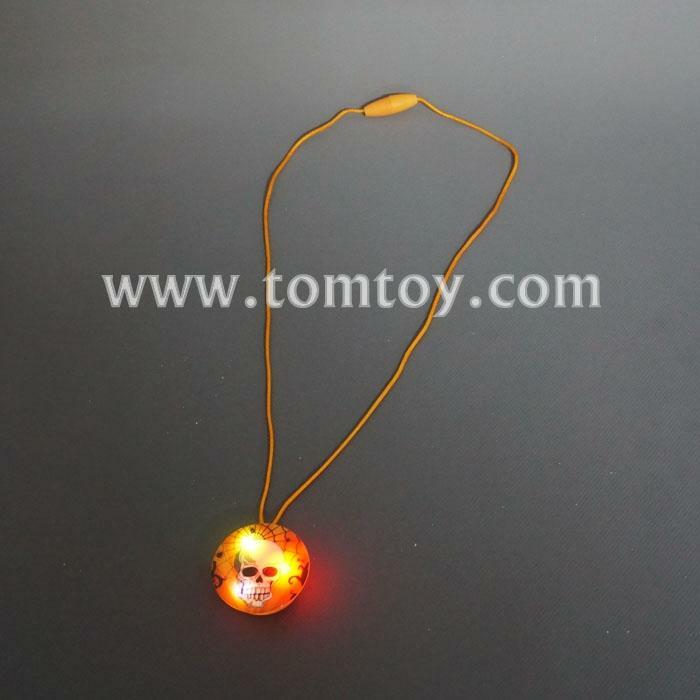 1.Perfect for your Halloween decoration, this necklace will have you lighting up the night. 2.The Medallion Size:4cm diameter.Lanyard length:33.5cm. 4.Three pieces AG3 batteries are included and installed.